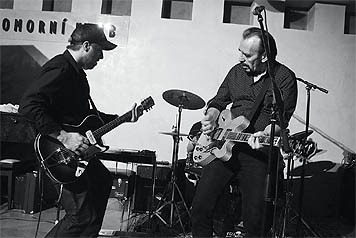 Phil Shoenfelt is a veteran of the London, Manchester and New York punk and post-punk scenes. 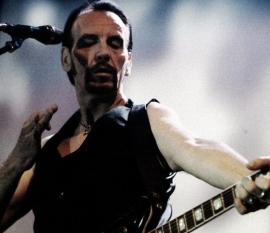 After getting caught up in the London punk explosion of 1976–1977, he moved to New York where he played with several Downtown bands, such as The Nothing and Disturbed Furniture. In 1981 he formed the post-punk band KHMER ROUGE with Barry "DJ Scratchy" Myers on bass, Marcia Schofield on keyboards and Paul Garisto on drums. DJ Scratchy worked with The Clash on their first three US tours. Marcia went on to play keyboards with The Fall, and Paul played drums with Psychedelic Furs and Iggy Pop. Another Khmer Rouge drummer was the artist Claus Castenskiold, who has designed album covers for The Gun Club and Kid Congo Powers. The first performance of Khmer Rouge was at the 1981 White Columns Noise Festival, which was organised by Thurston Moore of Sonic Youth. The band later played shows at CBGBs, The Peppermint Lounge, Danceteria and The Ritz. They also supported artists such as Alan Vega, The Gun Club, Tom Verlaine, Nico and The Clash at concerts on the east coast of the USA. Khmer Rouge was managed for a time by legendary photographer Nat Finkelstein, famous for his books “The Factory Years” and “Edie”. Finkelstein collaborated with Andy Warhol on “Andy Warhol’s Index” and was responsible for many of the classic black and white photos of the Velvet Underground. He also filmed a ground-breaking video for the Khmer Rouge song “New Assassins”. For the next two years Phil concentrated on writing songs and making demos. In 1989 his first solo recording, a 12 inch single “Charlotte's Room” b/w “The Long Goodbye” was released on Mark E. Smith’s Cog Sinister label. 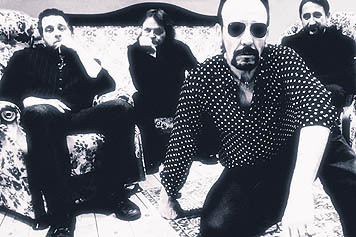 The recording was produced by Tony Cohen, renowned for his work with The Birthday Party and Nick Cave & The Bad Seeds. In 1990 the UK label Paperhouse Records put out Phil’s first solo album Backwoods Crucifixion. In 1993 his second album, God Is The Other Face Of The Devil, was released by Humbug Records. 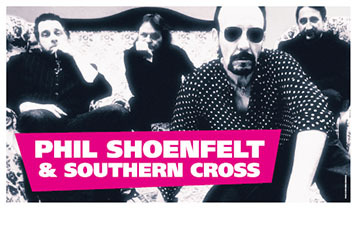 During this period Phil supported Crime & The City Solution and Nick Cave & The Bad Seeds on UK tour dates. 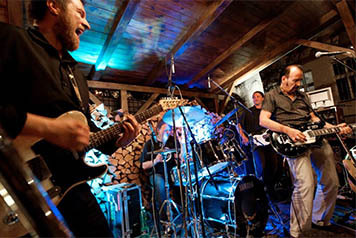 In the summer of 1994 Phil toured in the Czech Republic, backed by the musicians from Tichá Dohoda. One year later he moved to Prague on a permanent basis. 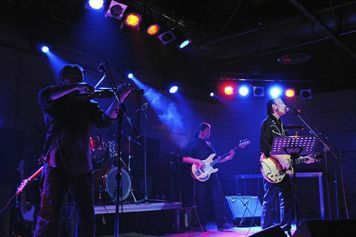 There he formed his current band PHIL SHOENFELT & SOUTHERN CROSS with Pavel Krtouš (bass guitar), Jarda Kvasnička (drums) and Pavel Cingl (violin). 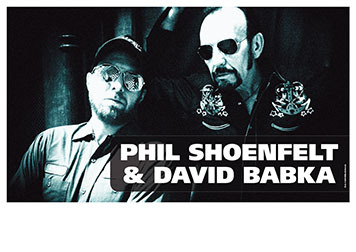 In 2014 Pavel Cingl left the band and David Babka joined on lead guitar, slide guitar and pedal steel guitar. 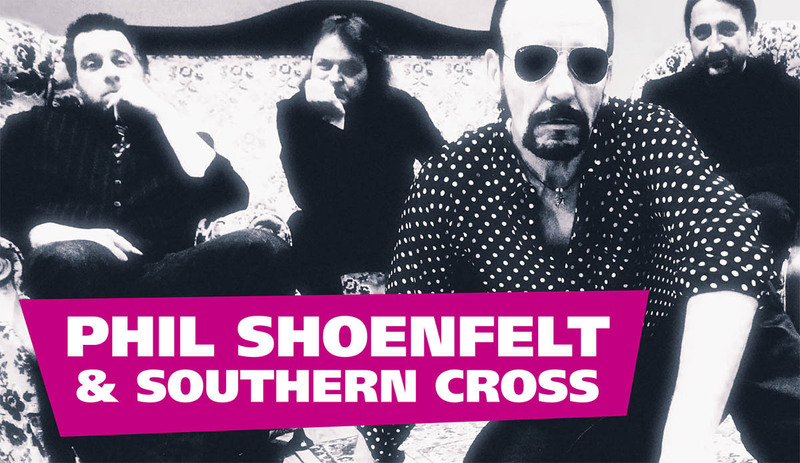 With Southern Cross Phil has recorded five albums to date: Blue Highway, Dead Flowers For Alice, Ecstatic, Paranoia.com and The Bell Ringer. In 1997 Phil founded FATAL SHORE with Berlin-based Australians Bruno Adams and Chris Hughes (Once Upon A Time; Hugo Race & True Spirit). 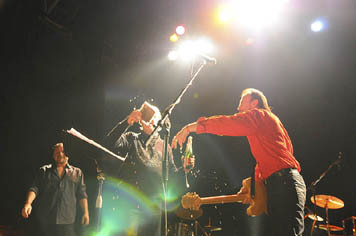 The band toured Europe and became a popular act on the Berlin club scene, notable for their intense live shows and sonic improvisations. Fatal Shore made 3 CDs between 1997 and 2007: The Fatal Shore, Free Fall and Real World. In 2004 Adams became sick and was diagnosed with colon cancer. 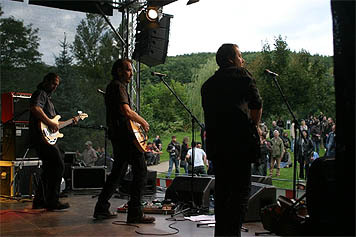 Fatal Shore continued touring, but in June 2008 the band played its final concert at Ebensee Kino in Austria. Bruno died in 2009 after putting up a long, brave fight, and Shoenfelt and Hughes decided to discontinue the band. A final CD, Setting The Sails For El Dorado, was released in 2011. The album is dedicated to the memory of Bruno. 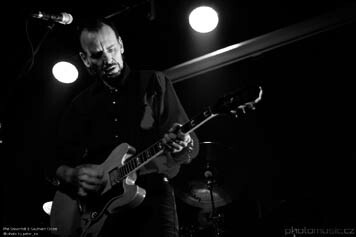 Phil also collaborated with Nikki Sudden, playing lead guitar in Sudden's band on European tours in 1997 and 1998. 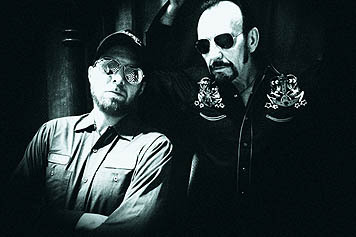 After the second tour the pair went into a Berlin studio and recorded Golden Vanity, an album of co-written songs that was released by the UK label Easy Action in 2009. In November 2010 Phil Shoenfelt & Southern Cross released their fourth studio album, Paranoia.com (Easy Action Records). 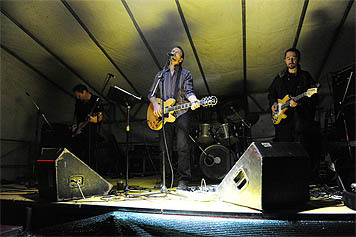 The album marked a change in the band’s musical direction from atmospheric indie rock to a more edgy hard rock sound. With nine original songs and a James Williamson-approved version of Iggy Pop & The Stooges' "Open Up And Bleed", the album features a remarkable cover painting by ex-Khmer Rouge member Claus Castenskiold. 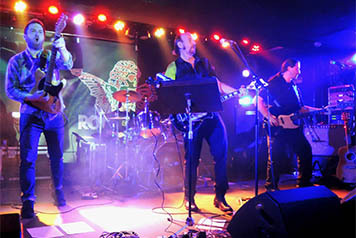 One song from this CD, "Stupid Rock Star", was included on the 2014 compilation, "Shark Infested Waters". Also included on this CD are tracks by Iggy & The Stooges, Bob Dylan, Alice Cooper, Patti Smith, Johnny Thunders and many other classic artists. 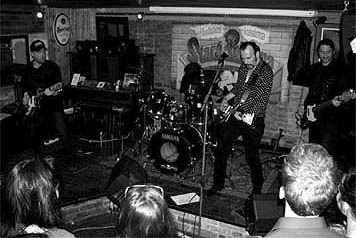 In 2011 Phil started a new band, DIM LOCATOR, with drummer Chris Hughes and bass player Dave Allen. Based in Berlin, Dim Locator is an outgrowth of the work Hughes and Shoenfelt did with Fatal Shore and features music co-written by all three members. The sound of Dim Locator is based more on drones and guitar loops than conventional song structures, taking inspiration from the "kraut-rock" bands of the 1970s. To date the band has released a Download-EP Immortalised (a three song tribute to Rowland S. Howard), a 7 inch single of two of Howard’s songs, "I Ate The Knife" b/w "Undone", and Wormhole, a mini album containing four original songs. In July 2016 a live CD Six Miles Deep was released on the German label Moloko +. In addition to writing and playing music, Phil has also written several books. To date, he has had five titles published: Junkie Love (a fictionalised autobiography); The Green Hotel/Zelený Hotel (poetry and song lyrics); Magdalena – Books One and Two (a collaboration with the poet and artist Kateřina Piňosová); Kamikaze Skull (twenty poems co-written with UK performance artist Sophia Disgrace); and Stripped (a trilogy of books set in New York in the years 1979-1984). The first part of the trilogy was published in Czech translation in December 2012. The second part – Underground Incognito – was published in May 2016. Junkie Love first appeared in Czech translation as Feťácká láska. It was published in English in 2001 by Twisted Spoon Press and went on to win the Firecracker Alternative Book Award (New York, 2002). Since then it has it has been translated and published in Italian by Fazi Editions of Rome. An extract from Junkie Love was featured in Erotika – Drogen und Sexualität, an anthology edited by the German philosopher Wolfgang Sterneck. In 2006 Junkie Love was licensed to Ebury Press/Random House for UK and Commonwealth distribution. Shoenfelt’s writing has also appeared in literary magazines such as Gargoyle, Prague Literary Review, Optimism, Hele, Blatt, Apple Of The Eye, Morgana, Vlna and Vlak. 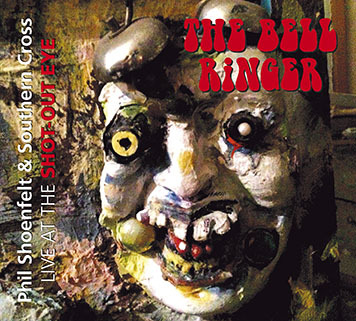 A new Phil Shoenfelt & Southern Cross CD, The Bell Ringer – Live At The Shot-Out Eye, was released in June 2015. 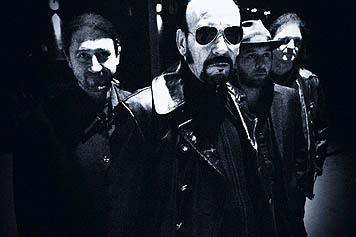 The album was recorded in the summer of 2014 to mark the 20th anniversary of the band. At present, Phil is writing songs for the next Southern Cross CD and working on Book 3 of Stripped. (Hospoda U vystrelenyho oka) - open air - in Prague (Czech Republic).